For your convenience, we have an after hours drop box for those of you who cannot bring your vehicle in during normal business hours. Please fill out the form completely and remember to include your keys when you use our convenient security drop-box. Appointments cannot be scheduled for State Inspections. 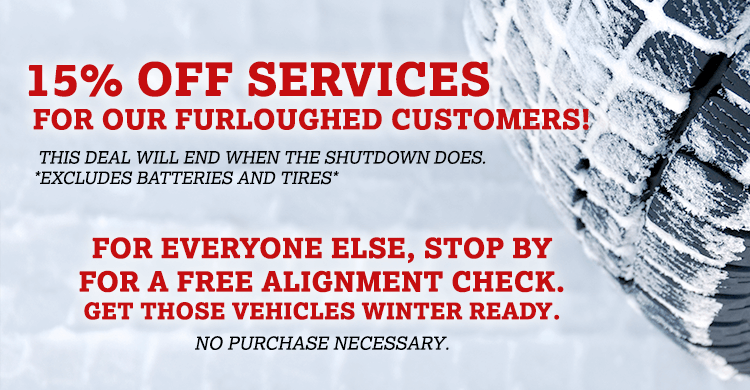 For diagnostic or large maintenance services, please drop off your vehicle by 9:00 a.m. Regular oil changes are key to maintaining your vehicle's warranty and keeping your vehicle running better and lasting longer. Change your oil with a full synthetic motor oil and high grade filter. Includes a multi-point courtesy inspection. Regular oil changes are key to maintaining your vehicle's warranty and keeping your vehicle running better and lasting longer. Change your oil with a full synthetic motor oil and high grade filter. Includes a multi-point courtesy inspection. Add a tire rotation for only $9.95 more for added value! Regular oil changes are key to maintaining your vehicle's warranty and keeping your vehicle running better and lasting longer. Change your oil with a conventional motor oil, BG motor oil additive and high grade filter. Includes a multi-point courtesy inspection. Regular oil changes are key to maintaining your vehicle's warranty and keeping your vehicle running better and lasting longer. Change your oil with a conventional motor oil, BG motor oil additive and high grade filter. Includes a multi-point courtesy inspection. Add a tire rotation for only $9.95 more for added value! Regular oil changes are key to maintaining your vehicle's warranty and keeping your vehicle running better and lasting longer. Change your oil with a conventional motor oil and high grade filter. Includes a multi-point courtesy inspection. Regular oil changes are key to maintaining your vehicle's warranty and keeping your vehicle running better and lasting longer. Change your oil with a conventional motor oil and high grade filter. Includes a multi-point courtesy inspection. Add at tire rotation for only $9.95 more for added value! Warning light on? Make an appointment to have it diagnosed by our expert technicians! Most problems can be resolved the same day! Brakes making noise, vibrating or pulling? Have another brake ailment? Let us check it out and get it fixed for you! Does your vehicle make strange noises or feel out of the ordinary? Book an appointment for our technicians to diagnose and repair the problem! Found a strange puddle under your vehicle? We can diagnose this leak and repair it for you! Is your engine overheating? Losing engine coolant? We can help! AC not cooling as well as it once was or heat not blowing hot? We can service the HVAC system, make any repairs necessary and get it back to tip-top shape! Anything from a 30,000 mile service on a Ford, to a B3 service on a Honda to a D service on a Mercedes Benz. Our technicians are trained to perform factory recommended services on all makes and models of vehicles. Already have an estimate for a service or repair? Let's get it done! Please provide further information about which services will be performed using the "Additional Details" field on the booking form. Thank you! Request any other services not listed above. Add your comments to the notes.